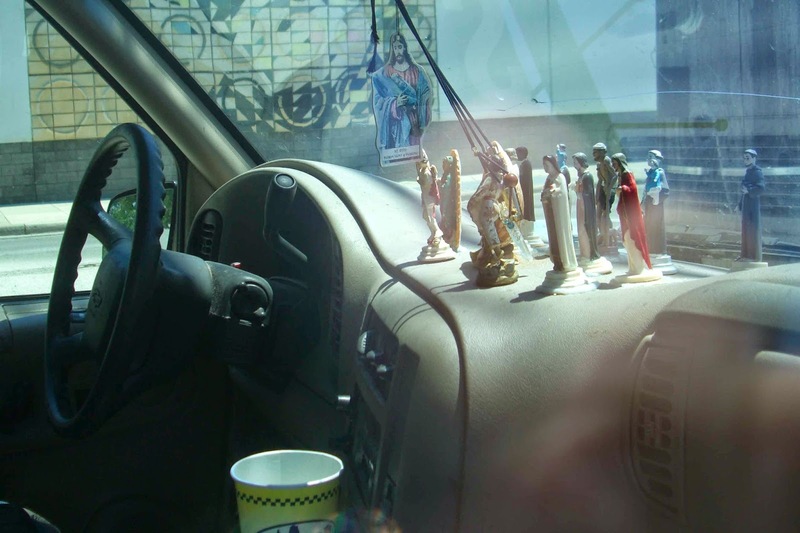 Dashboard saints are not as popular as they once were. Some people still hold fast to the tradition. Looking through the window at this gathering of protectors and benefactors, I was struck by the almost religious aura bestowed by the noonday sun coming through the windshield. I know the owner of this van and am convinced that these little plastic beings have somehow imparted some measure of happiness and wellbeing into her life.